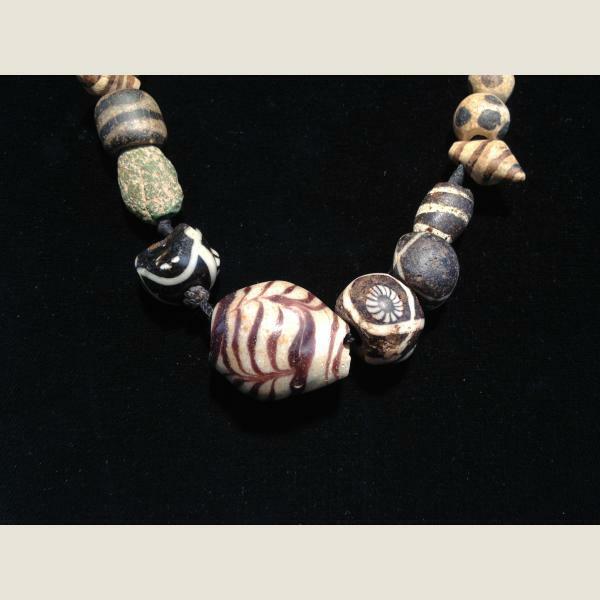 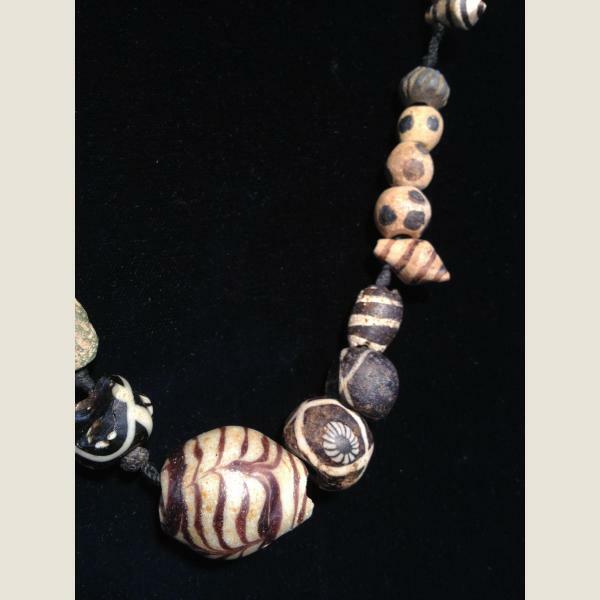 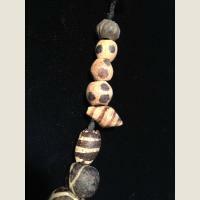 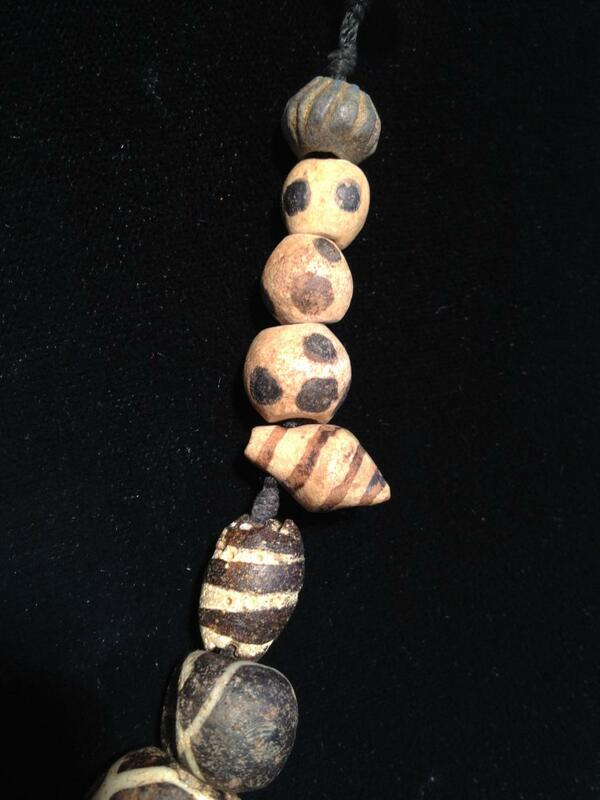 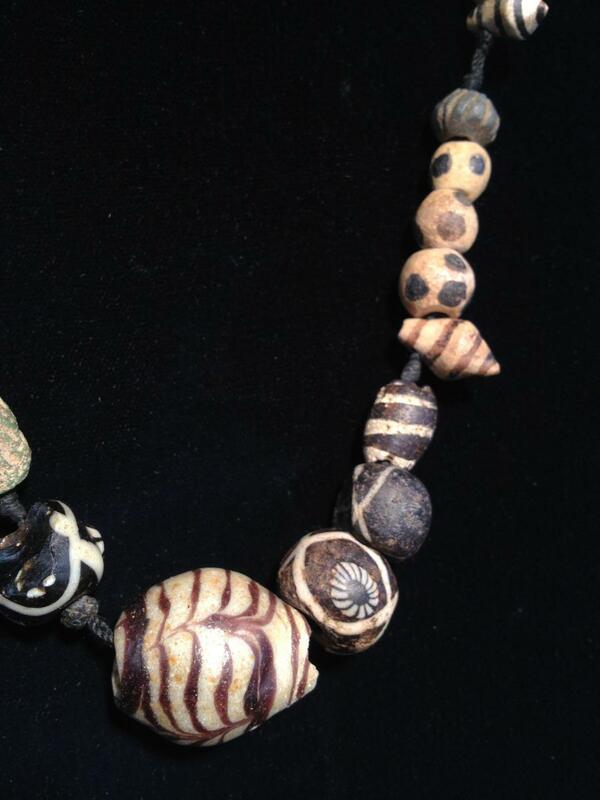 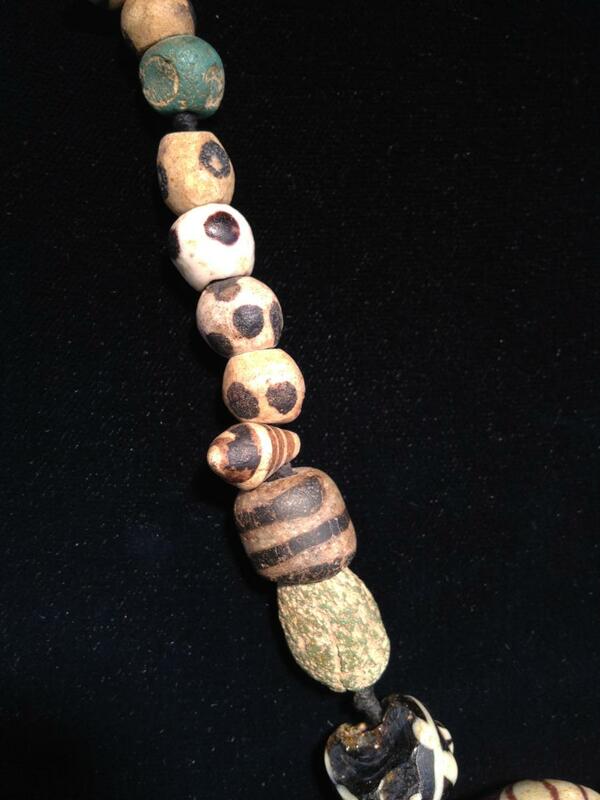 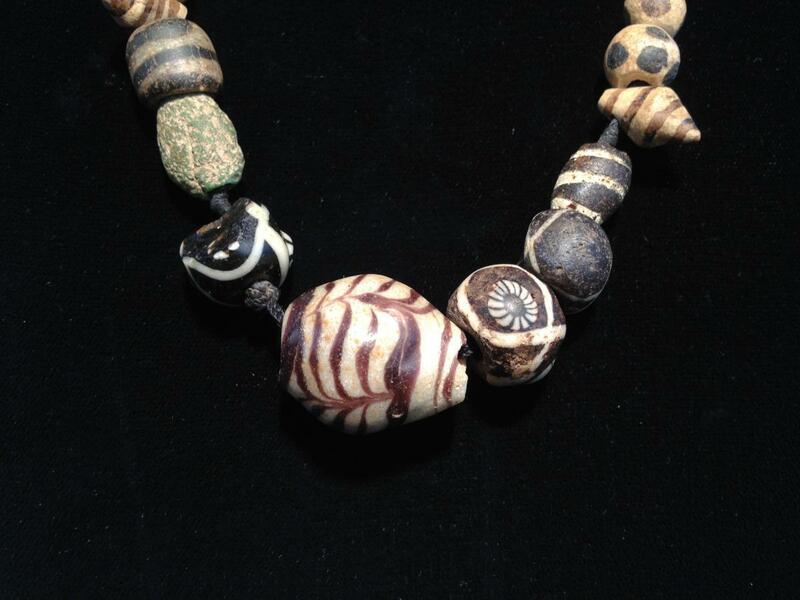 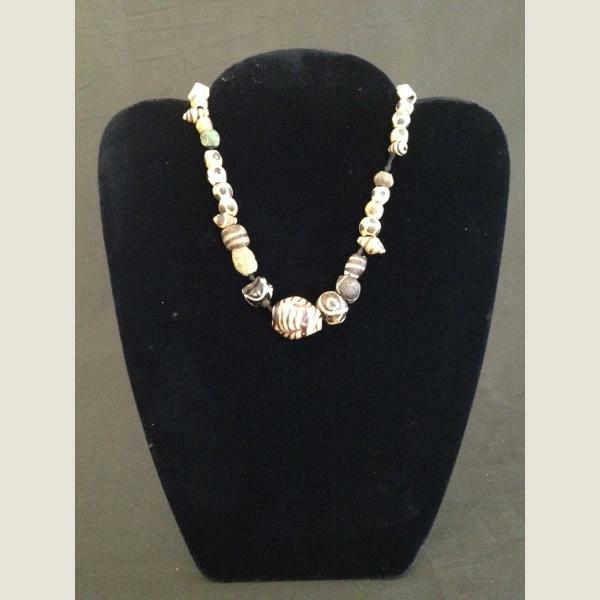 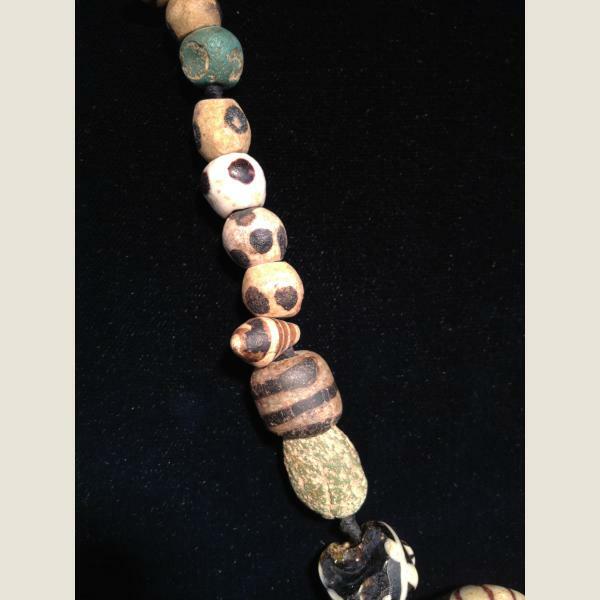 Ancient Phoenician glass bead necklace. 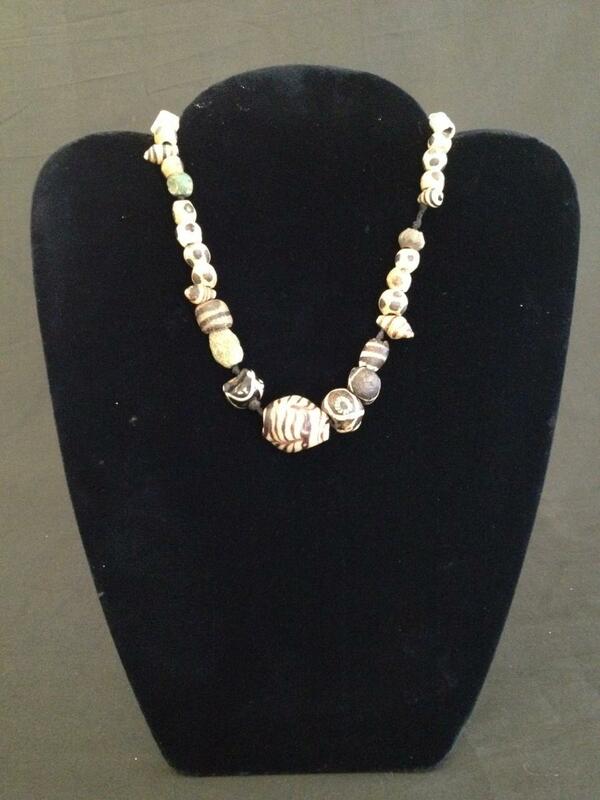 Restrung for wearing. Large with beige brown black beads graduating to a very large and rare central bead.